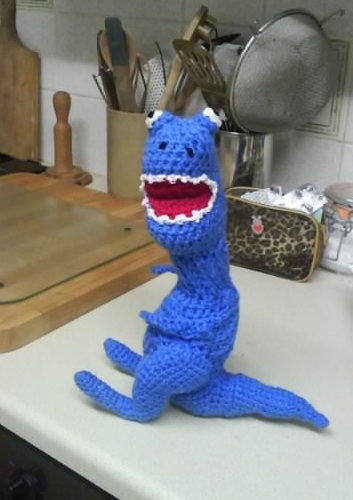 Christine did not use a pattern, either, when she crocheted this cool T-Rex for Joseph. Hi Thankyou for putting my T-Rex in your magazine. Joseph loved it. He has Down syndrome and adores Dinosaurs. He is at mainstream school as it doing very well. Very cute dinosaur. 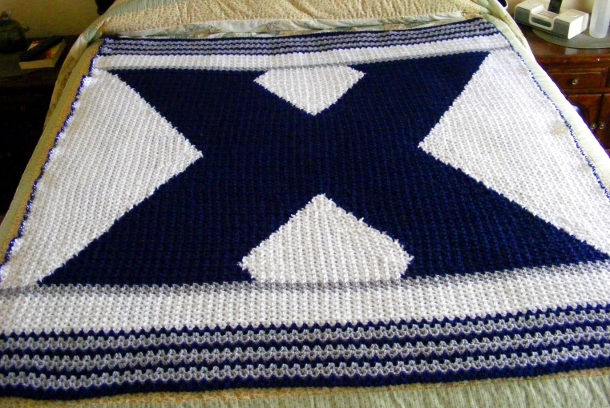 Glad your gson loves it & is doing well in school.